Microsoft's Gamescom 2015 conference is scheduled to start at 3pm BST / 7am PDT on Xbox.com and the stream is embedded above. It is likely to be a very console-focused affair, especially given that their competitors Sony have decided not to stage a conference of their own at all. 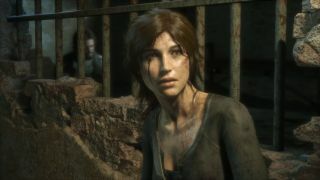 There could be something of interest for PC gamers, however, if MS choose to show more of Rise of the Tomb Raider: recently confirmed for PC release in early 2016. Perhaps we'll even see a bit of Windows 10 Minecraft. Otherwise, expect focus on a new Crackdown game, Halo 5 and Platinum Games' Scalebound, all presumed to be Xbox One exclusives for now. Exclusivity makes us sad.